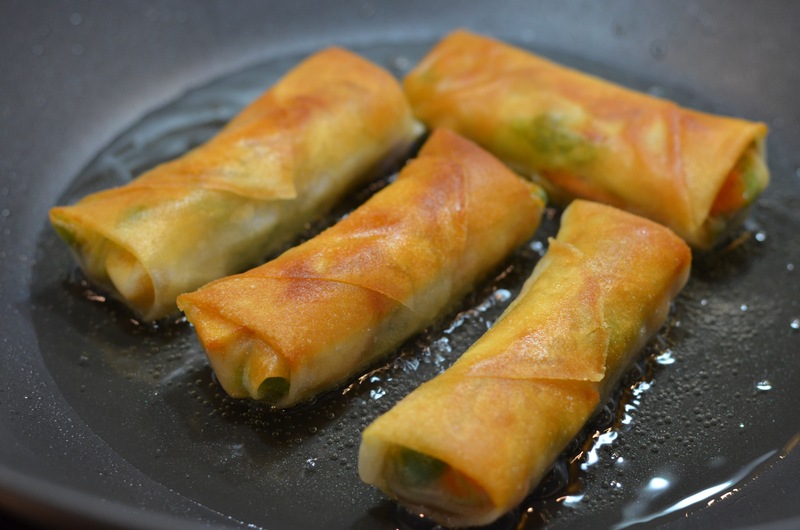 Pour 1/4 cup oil in pan or wok and set to medium heat. When hot, fry the cubed tofu until brown. Set aside when finished. 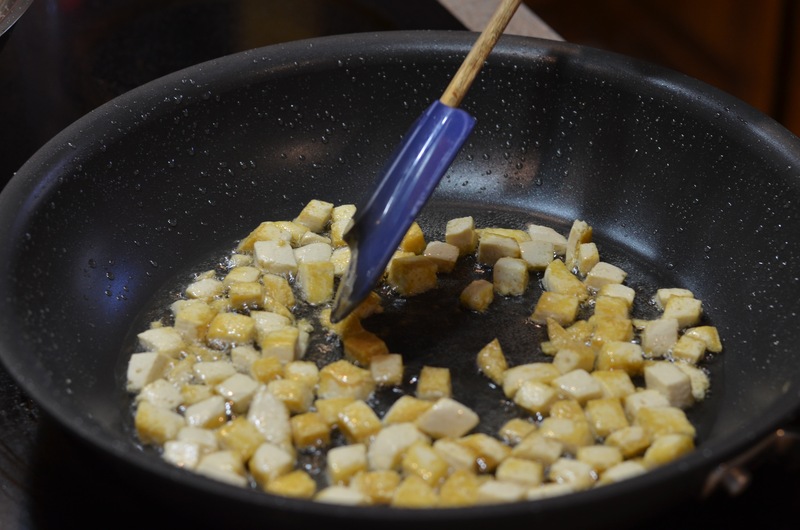 In the same pan, use the remaining oil to sautée the 1 clove garlic and onion. Sautée the onion first because the garlic may burn. Then include the garlic. Following that, put the green beans, then jicama, then carrots. 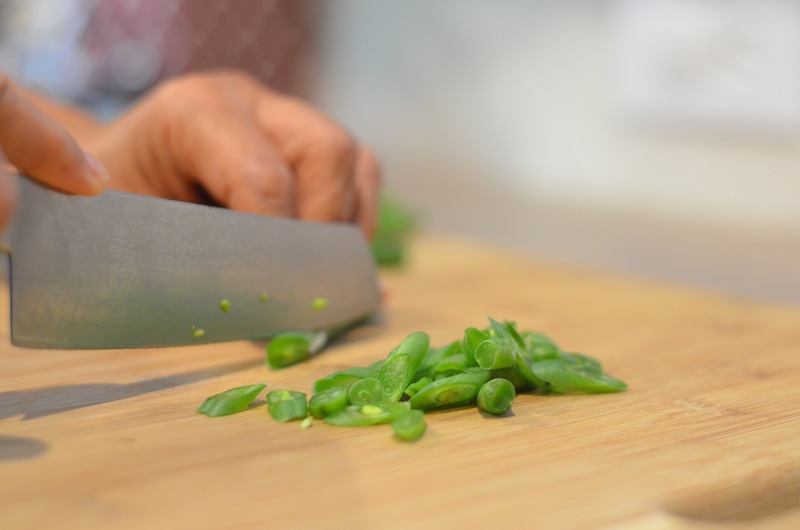 When the vegetables are cooked, sprinkle a pinch of salt and pepper. When finished, put the cooked vegetables in a strainer to drain the extra sauce and let cool. 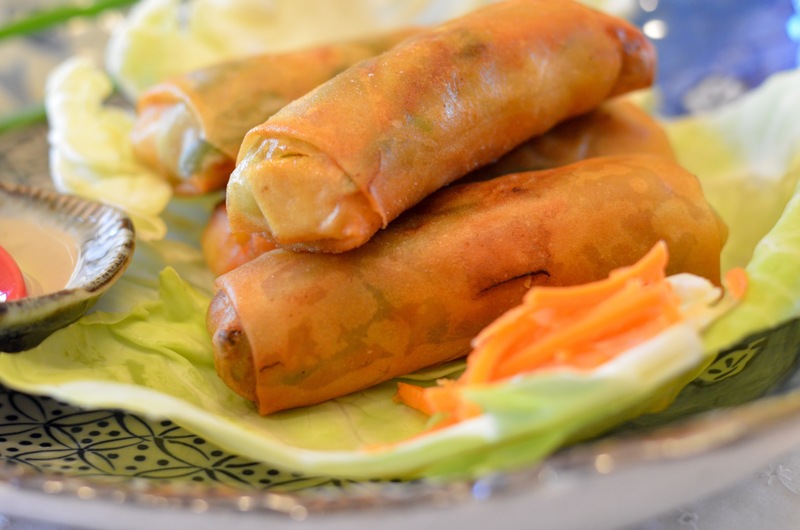 Place ¾ cup of oil in a pan and set to low to medium heat while rolling the egg rolls. 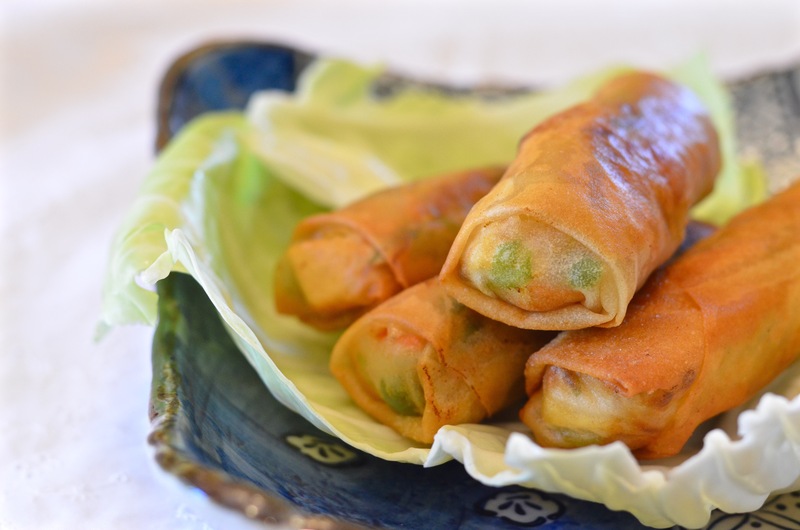 Fry the egg rolls on medium heat until browned. Place paste at the top corner too! Yummmm!!! These look so great. 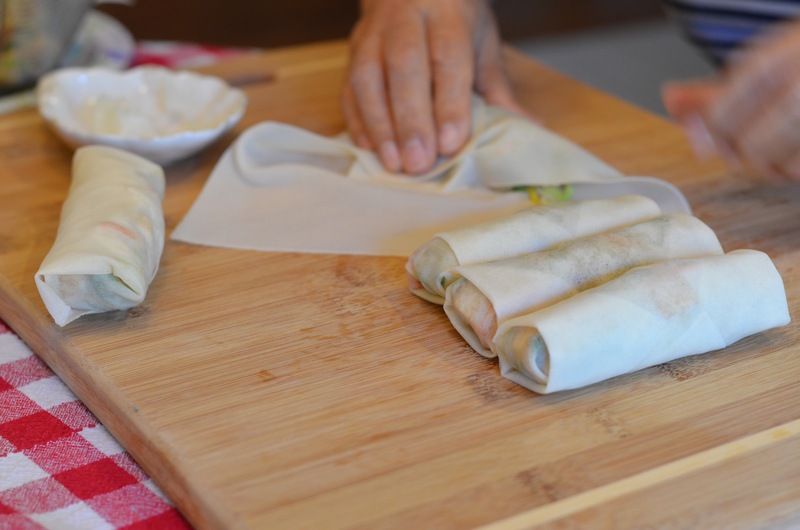 I was just thinking about how I wanted to make some spring rolls soon. Thanks, Kristen! Be sure to let me know if you end up making them—I’d love to know how they turn out! These look amazing! Is there a “printer friendly” option? If so, I don’t see it. Hi Monica, just added it! Looks like it didn’t come up automatically because of the images in the recipe card. I tried the print preview function just now and it looks like it still has some issues with the pictures, but other than that the recipe should come out just fine! Thanks! These look great! Your blog is a lot of fun to read and I was hoping to ask you a question about it. Would you mind sending me an email when you get the chance? Thank you! Hi Paulina! It appears I didn’t have a contact form set up. Kindly go to https://bokchoyandbroccoli.com/contact/ and email me from there 🙂 Thanks so much for your interest! What step do you add the sprouts? With the veggies?